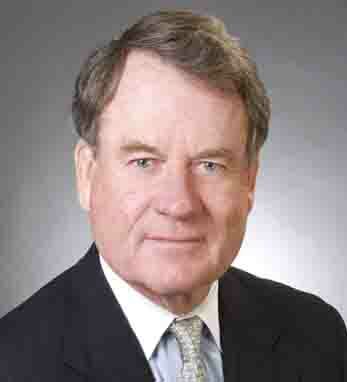 Thomas Hynes became president and chief executive officer of the real estate giant Meredith & Grew in 1988. A full-service commercial real estate firm, Meredith & Grew provides brokerage, development and advisory, counseling and valuation, capital markets, and property and asset management services to a broad range of clients. Tom, who has over 41 years of experience in the sales, leasing and consulting end of commercial, industrial and institutional real estate, joined the company in 1965. Prior to joining Meredith & Grew Tom served as a real estate advisor to the New Boston Garden Development Corporation.Tom has served as a trustee or director at various companies and organizations, including: Prentiss Properties Trust, New World Bank, Marine Biological Laboratory, and Sea Education Association.A graduate of Boston College, he holds an honorary Doctor of Laws degree from Emmanuel College, where he is a former chairman of the board of trustees. Tom is married with two children.